Gary Wolstenholme gives us his verdict on the Tokina Reflex 300mm MF Macro lens. If someone said you could get a lens with a 600mm equivalent field of view that weighs under 300g and costs around £320, you'd probably think they were lying. Tokina's 300mm Reflex lens for Micro Four Thirds system cameras does this. It's a manual focus catadioptric lens. This means it uses curved mirrors as well as refractive lens elements to create a focused image. The benefit is reduced size, weight and cost, but can a lens that is so inexpensive and compact deliver the image quality we have come to expect? 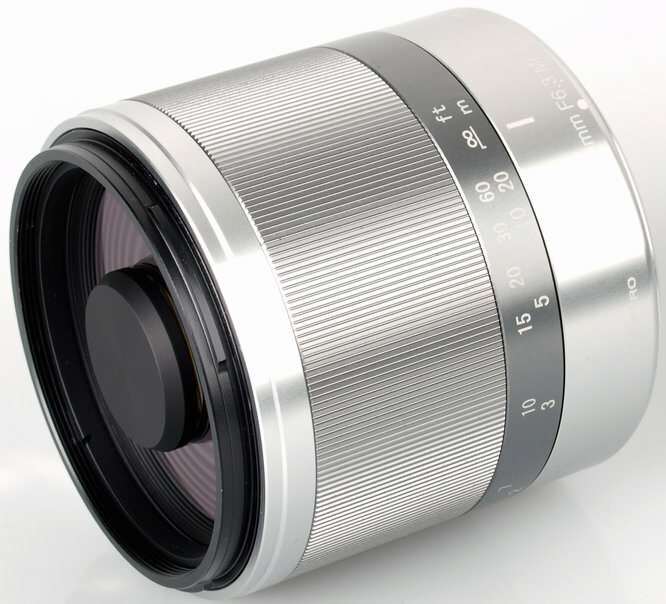 Weighing only 298g and being only 66mm long, this lens is incredibly compact for its focal length, partly due to the catadioptric optical system and partly down to the smaller sensor size of the mirrorless camera system. 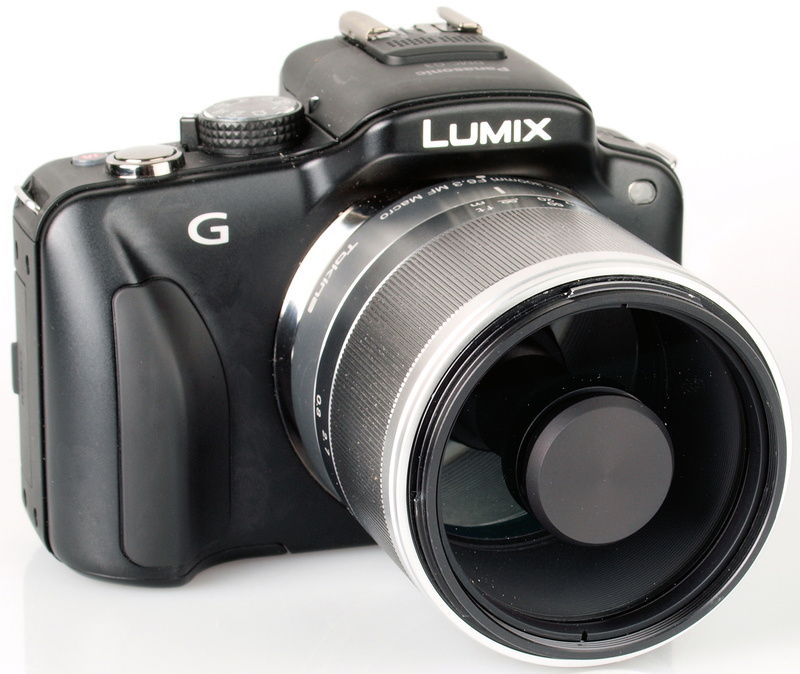 The lens has a high quality metallic finish and balances well on the Panasonic Lumix G3 used for testing. The light weight and compact size do have some drawbacks when using such a telephoto lens. On a camera with no in-body stabilisation, a camera support is almost necessary, as holding the camera steady enough to focus adequately, let alone take a sharp image can be a challenge in itself. As Micro Four Thirds cameras rely on enlarging a section of the image to assist with manual focusing, this issue is greatly magnified when attempting to focus accurately. The focusing ring is quite stiff to operate, which leads to even more vibration during focusing as you struggle to turn the control. 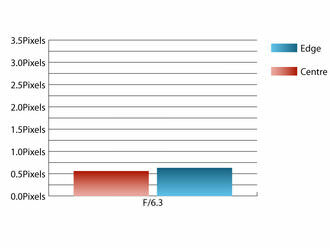 Closest focus is an impressive 80cm, which allows you to achieve 1:2 reproduction at the closest focus stop. A lens like this may appeal to those interested in astrophotography, due to its narrow field of view. However, as the lens doesn't have a hard stop for infinity focus, it can be quite tricky to get the lens adequately focused. The focus range has quite a short throw. Three quarters of a turn takes you from infinity to 0.8m. As a result focusing accurately at distances over 10m can be a little tricky, as the slightest adjustment radically alters the focused distance. Some older catadioptric lenses got around this by allowing the focus ring to tur more than one revolution, making it easier to apply fine adjustments. A 55mm filter thread is supplied, which does not rotate during focusing. A deep circular lens hood is supplied, which does an excellent job of shielding the lens from extraneous light. Mirror based optics like this can be an acquired taste. Generally they have a reputation for lower resolution, lower contrast and ugly doughnut shaped out of focus highlights and lack of aperture control. This lens does not buck the trend in any way. Contrast is visibly lower, which can also hamper accurate focusing and the doughnut bokeh is certainly present. The aperture of this lens is fixed at a fairly slow f/6.3, which means either plenty of light, or a high ISO setting will be required for any action photography. As far as resolution is concerned, during testing good sharpness was recorded in the centre of the frame although this drops to fairly good sharpness towards the edges of the frame. In the field, it will be rare that this can be replicated and results will often look much worse, partly due to difficulties in getting the lens focused accurately and limits of the catadioptric optical system. The blue column represents readings from the centre of the picture frame and the green is from the edges. Averaging them out gives the red weighted column. 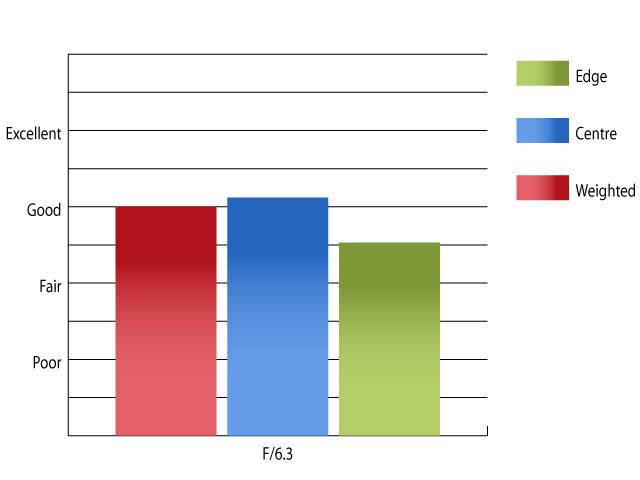 For this review, the lens was tested on a Panasonic Lumix DMC-G3 using Imatest. Catadioptric lenses normally display little or no chromatic aberrations as this phenomenon can only occur when the path of light is altered by refraction, rather than reflection. 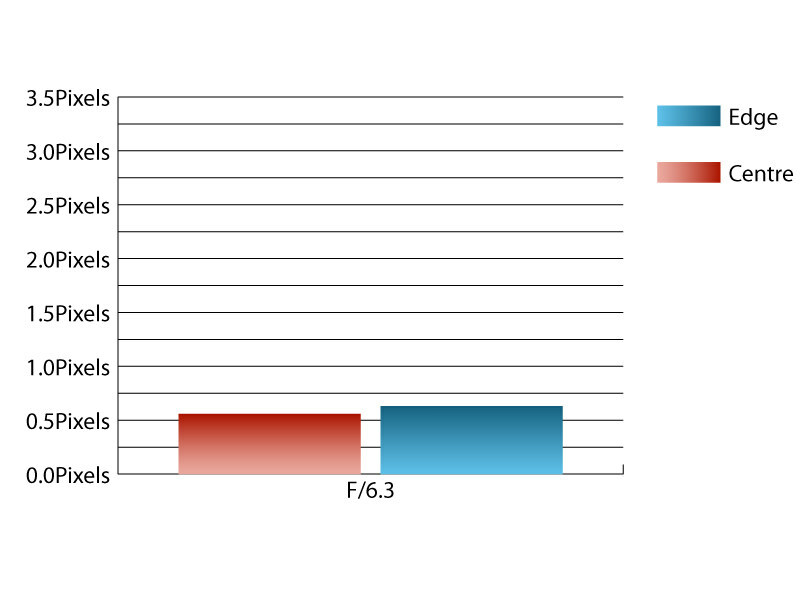 A slight amount of CA was detected by Imatest, hovering around half a pixel in width. In practice this low level of CA will be barely noticeable. Falloff of illumination towards the corners of the frame is well controlled. The corners of the frame are only 1.12 stops darker than the centre. Imatest only managed to detect 0.992% pincushion distortion too, although the distortion does have an almost indistinguishable wave pattern to it, which may make corrections difficult to apply afterwards if absolutely straight lines are paramount. The value this lens represents will largely depend upon your expectations. The price is low for the field of view it provides, but then the performance of this lens is also quite low. If you like the look mirror lenses produce and don't mind the lack of sharpness and low contrast, it could represent good value, in the same way that the plastic lenses fitted to Lomo cameras produce a certain look, that may be desirable for some. Far from being a viable replacement for a more expensive telephoto lens, what we have here is a lens that produces a certain effect, that may be of interest to some. The effect it produces can be used to great effect for the right subject, but can also spoil an otherwise good image. Although the price is low when compared to a comparable super-telephoto lens, it isn't when the price of vintage mirror lenses and 'toy' special effects lenses are considered. Unfortunately this lens is better compared against the latter group of lenses, as the image quality it offers just isn't good enough for general use. Box Contents Lens cap, lens hood, rear cap. Since Tokina describe this as a macro lens, why on earth did you not post any macro shots for us to look at, especially since this is currently the cheapest M43 macro lens on offer, by far? It's really not a practical macro option. For starters it provides 600mm equiv FOV and has no aperture control, so their is no control over depth of field, which is pretty shallow at its minimum focus distance. Although it has Macro in the name, because it can be focused fairly close, I wouldn't consider it a lens suitable for macro photography. It's really not a practical macro option. For starters it provides 600mm equiv FOV and has no aperture control, so their is no control over depth of field, which is pretty shallow at its minimum focus distance. Although it has Macro in the name, because it can be focused fairly close, I wouldn't consider it a lens suitable for macro photography. 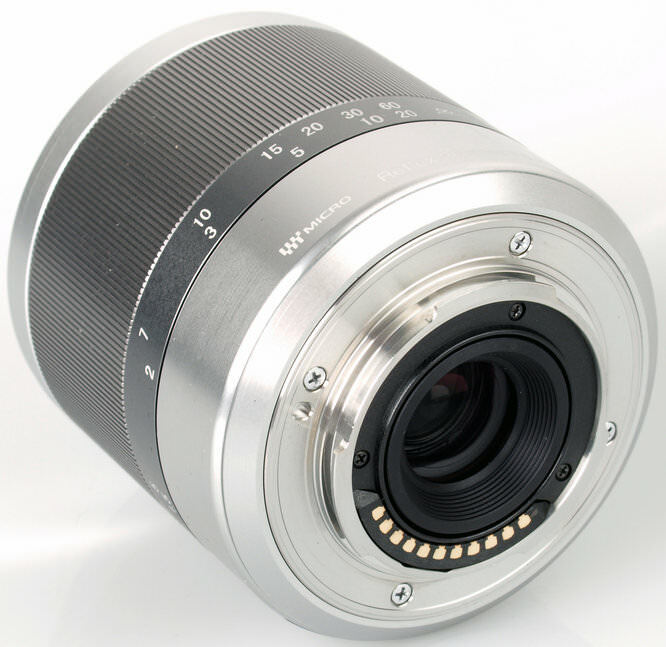 Hi, we've added a macro photo in the equipment database, here: https://www.ephotozine.com/equipment/item/tokina-300mm-f-6-3-compact-super-telephoto-lens-4777/images Although (as theorderingone says) the narrow depth of field is an issue, and manual focus certainly makes it difficult. Although (as theorderingone says) the narrow depth of field is an issue, and manual focus certainly makes it difficult.